Many beautiful photos have been captured of sunset and sunrise at Palouse Falls, Washington. I wanted to capture the falls and natural amphitheater in a different light. 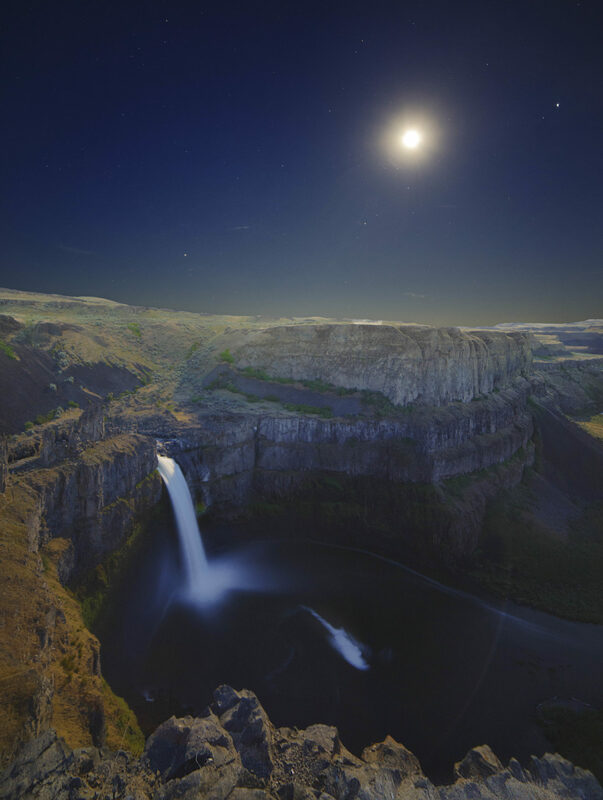 I camped at Palouse Falls State Park overnight, and ventured out to take two images blended into this image due to the high contrast between the moon and land below. Sky was photographed at f2.8, ISO 1600, 3.6 seconds. Land photographed at f.28, ISO 1600, 31 seconds. Pentax K-1, Samyang 14 mm lens. Taken on a road trip across the U.S. and Canada this summer.